Requirements: Android version 3.0 or up. BusyBox Free Apk is a famous android application which is specially developed for rooted android devices. BusyBox is basically a software application which provides many standard Unix tools similar to GNU Core Utilities. it is especially recommended for rooted android devices because most of the rooted apps require BusyBox for its functioning. BusyBox is designed to be a small executable for use with the Linux kernel, which makes it ideal for use with embedded devices. It has been self-dubbed “The Swiss Army Knife of Embedded Linux”. 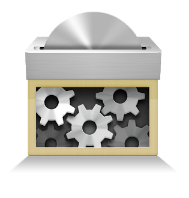 BusyBox Free is a trail version for BusyBox Pro which includes all of its premium features and options. With the free version you can check its compatibility with your device and use as trail for free days. 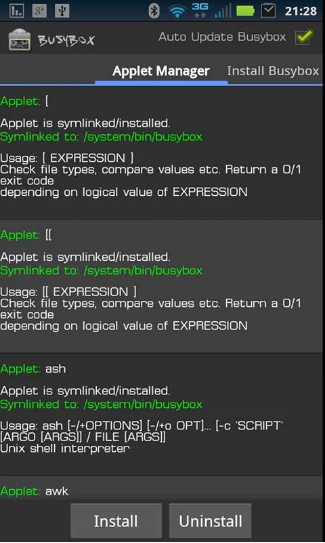 So, To get all the premium version you will have go for BusyBox Pro Apk. You can buy the pro version from Play Store Or you can download it from our site. Majority of the rooted android devices require BusyBox for its proper functioning. So, if you are using a rooted device then this app is a must for you. Download and install any Busybox binary available for android. Serve as a small executable or use with the Linux kernel, which makes it ideal for use with embedded devices. It allows you to pick applets of your choice. Although Busybox includes a great number of features but we are not discussing every single of them here, because they have already been discussed in the BusyBox Pro post on our site.